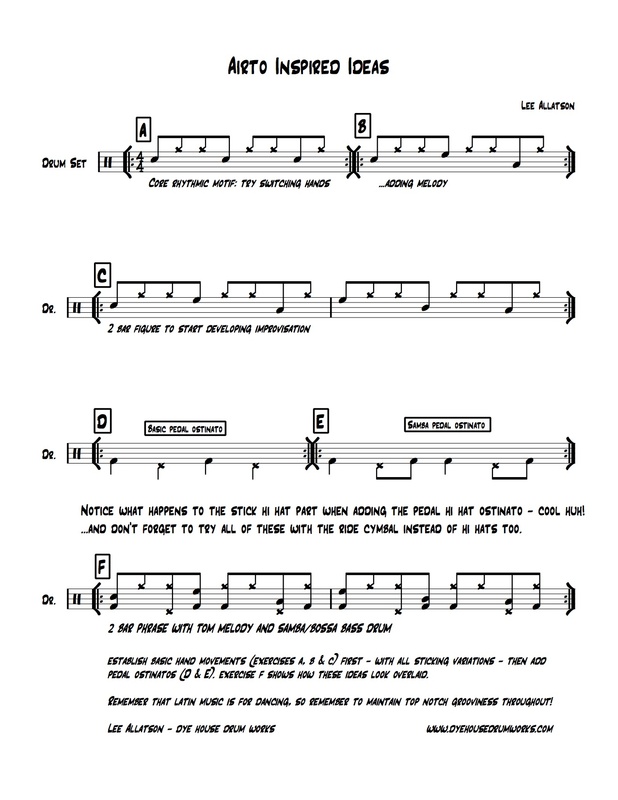 Airto Moreira latin sticking – with some developments. Work through the exercises carefully from A to F – and listen out for any variations which suggest themselves to you as you go: remember that latin music on the drum set often features a mixture of influences from separate percussion parts and their rhythmic inspirations. Don’t get too pinned down to repetition or convention – it’s a ‘feel’ thing! …just watch Airto! This entry was posted in Uncategorized by Lee. Bookmark the permalink.